We don’t know when our life will come to an end, when a loved one may fall ill, or things unexpectedly shift. Reflecting on the impermanent nature of life and developing compassion can help us mentally, spiritually and practically prepare for the death of ourselves and our loved ones. 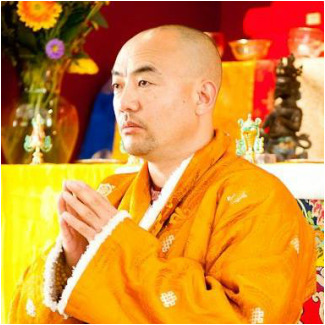 Anyen Rinpoche, a compassionate and realized Tibetan Buddhist lama. 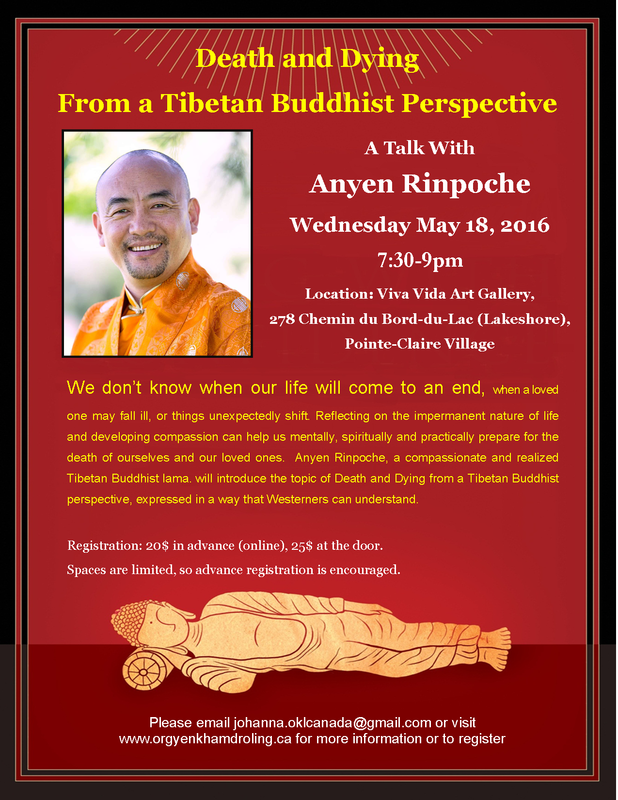 will introduce the topic of Death and Dying from a Tibetan Buddhist perspective, expressed in a way that Westerners can understand. Registration: 20$ in advance (online, link below), 25$ at the door. Spaces are limited, so advance registration is encouraged. Please click on the PayPal button below to purchase your ticket(s).